Games, fun, suspense and ... your brand! Humans just like to play! You can utilise all the advantages of Casual Games for your brand with our specially compiled GAME PACKAGES. Our target group are companies which have many Stores and wish to attract sustainable, modern and smart new customers into these Stores. We bring customers into your stores! App games have become socially acceptable, from schoolchildren to fathers of families in the best years of their lives – an increasing number of people are playing, right across all layers of society! The games boom has received a real boost over the past years, as Smartphones have mutated into mobile games consoles with impressive technical capabilities – display, computing power, sound, sensors, camera, network connection. Today, people carry their games console with them in their trouser pockets. With games, it is possible to reach and delight people and give them some wonderful experiences! Transport positive feelings onto your brand to guide your customers accordingly. We offer Casual Games; these are simple games with uncomplicated but thrilling storylines for brief diversions from time to time. It is quick and easy to access the games mechanism and it is possible to start right away without having to study the rules of games or instructions. Casual Games guarantee fast, successful experiences and fun in-between times. And what could be a better gift to your customers than fun? The slowly-increasing complexity of levels and challenges with new gadgets each time maintain the suspense and delight people permanently and repeatedly. Bring more customers into your branches/Stores or to your products with our Marketing lasso – bringing potential customers from the game into the Store. You can provide the incentive and the possibility for more product turnover and link the gaming world with the real world of your brand as a supplement to your products or using small wins from the game (Coupons). Games create digital desire for virtual currencies (for gadgets, levels, times) for which the customer is happy to enter the Store and (as the small weight that tips the scales) makes them decide for your product and your Store. The customer can for example re-load their virtual currency via a barcode. Influencing the user conduct for your own brand in this way represents enormous potential for increasing sales and for strengthening and developing your brand and products. The Marketing lasso combines the game with the Store in a way that can be measured. 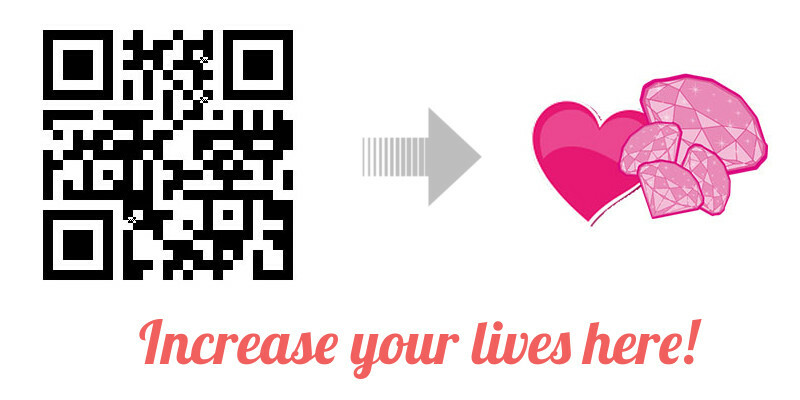 Seduce your customers in a positive sense and link the game with your Stores and your brand! The Marketing lasso is already contained in our GAME PACKAGES. The integration of social networks such as Facebook, Twitter and Co. opens up a potential with enormous range. Social networks are already integrated into our GAME PACKAGES. With your GAME PACKAGE, you receive monthly detailed statistics on the use of your game and the Marketing lasso. Statistics are included in our GAME PACKAGES. WHAT ARE YOU GIVING YOUR CUSTOMERS THROUGH CASUAL GAMES? A central Highscore is already contained in our GAME PACKAGES. • Through this positive pastime, your brand is “burned into” a player’s memory, game by game. We have attractive “per Store and month” price models especially for companies that have a lot of Stores, without initial costs – simply ask us! We have published our games for you with an example design in the App Stores. Convince yourself – simply try it out and have fun! x-game one is a sugar-sweet version of the popular Match-3 game mechanic. The perfect game for in between. Beware! Highly addictive! Trigger chain reactions to beat your highscore. Share your score with friends on social networks. Join us on a journey through 100 challenging levels and take a look behind the scenes of mobile app development. x-game two is a sugar-sweet version of the popular Connect 3 game mechanic. Connect as many items as possible to set new highscores. Compete with other players all around the world and share your experience with friends on social networks. Join us on a journey through 100 challenging levels and take a look behind the scenes of mobile app development. x-game three is a sugar-sweet version of the popular bubble shooter game mechanic. The perfect game for in between. Beware! Highly addictive! Connect as many items as possible to set new highscores. Compete with other players all around the world and share your experience with friends on social networks. Join us on a journey through 58 challenging levels and take a look behind the scenes of mobile app development.